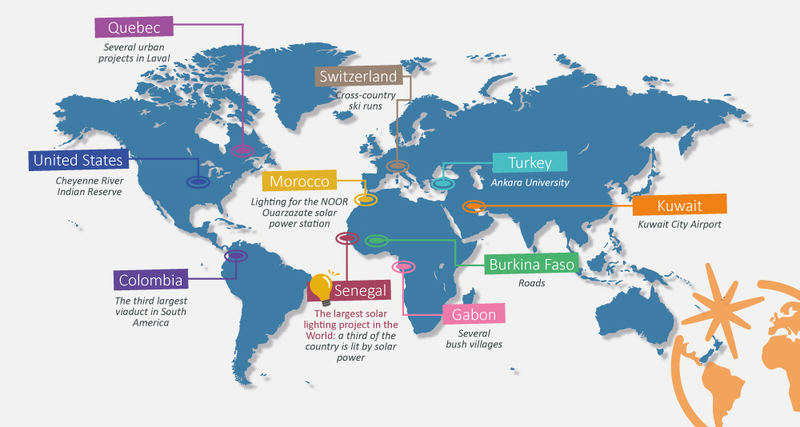 Working closely with a network of local sales partners, Fonroche Lighting provides solar lighting solutions for customers in Europe, Africa, the Americas and Asia. 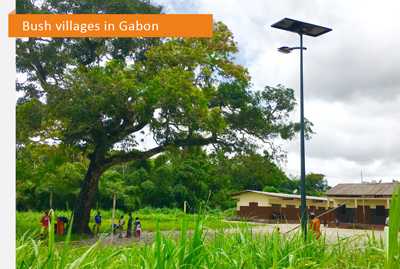 Our Smartlight range of powerful, reliable, cost-effective streetlights is a viable alternative to grid-connected lighting, especially in places where wiring isn't possible, like bush villages in Gabon. As a result, we’re proud to say that solar solutions are lighting up the lives of people in some of the remotest parts of the world! Our advanced technology is also utilized on large-scale projects, like the 20-km section of road in Kuwait, where the average annual temperature is 47°C. At the other end of the temperature scale, Fonroche solutions have been rolled out in Quebec and on cross-country ski runs in Switzerland, where it rarely gets above zero. In 2018, Fonroche Lighting won a contract to install 50,000 solar streetlights in Senegal. Once this extraordinary project is complete, more than one-third of the country will be lit by Fonroche solar solutions, significantly improving safety and security for the people of Senegal. Fonroche has set up a subsidiary in Dakar to oversee installation and logistics operations for the project. Also in Senegal, 160 Smartlight solar streetlights already illuminate the access roads at the new Blaise Diagne International Airport (AIBD)in Dakar, which was opened by Senegalese President Macky Sall in December 2017.